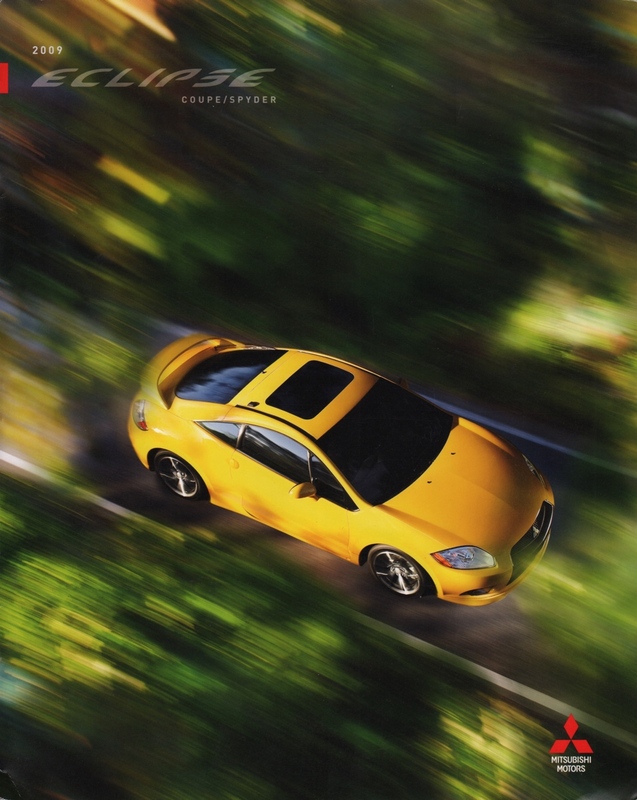 Sales brochure for the 2009 Mitsubishi Eclipse Coupe and Spyder. Engine options are the 162hp 2.4L 4-cylinder or 265hp 3.8L V6. Exterior colors are listed as Quick Silver pearl, Sunset pearlescent, Maizen Blue pearl, Rave Red pearl, Satin Meisai Gray pearl, Northstar White, Solar, and Kalaphana Black.